Here is another video from Super Butcher. This one is on an organic beef farm, part of a series they call, ‘From farm gate to your plate’. These videos are totally enjoyable for me with the big accents, the laid-back farmers and the host with all the energy. The video maker does a great job of getting you excited for the meat. There are some odd things said, though. While sitting in the farmer’s garden the host refers to the oasis around him, and indeed the green garden looks lush. 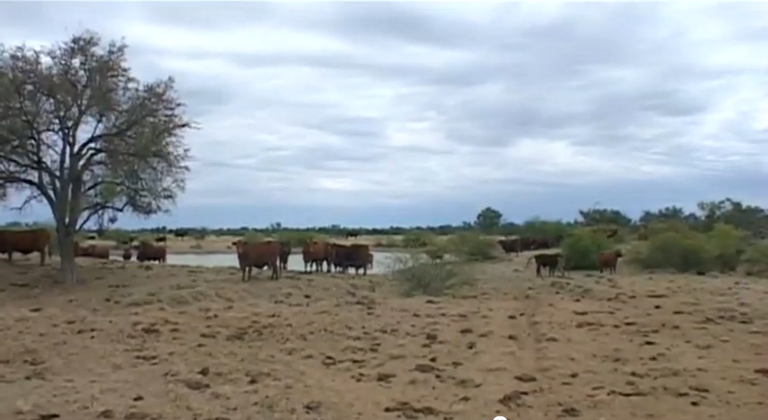 But later in the video when they leave the garden and visit the cows you see big fields of dry brown dirt. Surely there was at least one green paddock to move the cows into for the cameras? Or maybe that was the greenest one. Then the host says that Super Butcher has stopped selling organic meat. This farm visit is is an investigation to see how organic farms have changed since they dumped them. It isn’t clear but there’s an implication that they’re going back to selling organic beef, perhaps with this farm. But taken literally they are visiting a farm where they don’t buy meat. What’s up with their conventional farms? The numbers on the farm are amazing by French standards: 55,000 acres (22 000 hetctares), 3,500 cows and 30,000 kangaroos. The farm is huge with a very low stocking rate of one cow every fifteen acres (six hectares). France doesn’t quite have the same problem with kangaroos, although those ragondins can be a pain. 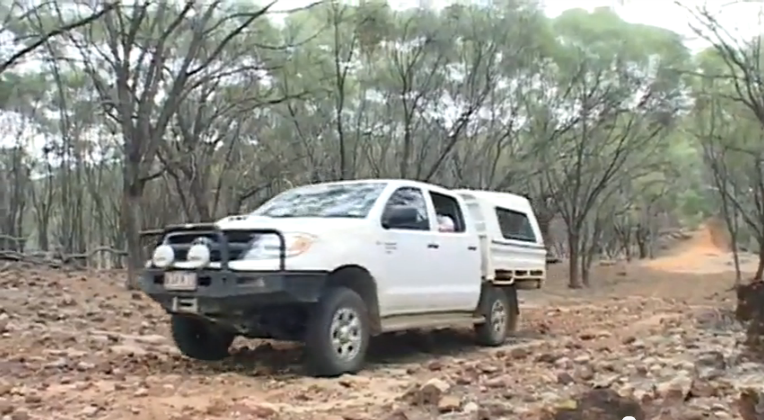 Then there are a couple of cultural things to notice with the farmer in his broad-brimmed hat (usually Akubra but impossible for me to tell), the ubiquitous white Hilux ready to turn into a technical and the rump steaks cooked well done.